The first step in any process is understanding. So, to find the root cause of a health issue a thorough diagnosis must be preformed. 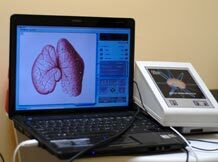 We use a diagnostic method to aid us in the process. 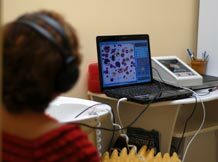 Orion Bioscan (Bio-energy screening) interfaces with a computer and monitor to provide a visual representation for both the patient and practitioner. Dr. Tatyana Yakovleva also has well-developed abilities to feel and assess human energy fields, and can start healing you with her bio-energy and mind. She uses proven healer's tools like visualization, meditation, yoga, memory enhancement and more. She also understands how bio-energy and bio-energetic methods of healing and energetic maintenance work in your everyday life. She'll prepare your mind and then body for her healer's work. 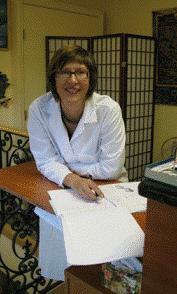 Dr. Yakovleva will help you maintain energetic health and physical, emotional, and mental balance. Despite the major discoveries of Quantum Physics, western allopathic medicine ignores and neglects the importance of the energy of the human organism. Historically all schools of medicine in the past including; Ayurvadic, Chinese, Egyptian ,etc., have considered energy as the most important element of a human being's health.